High volume pressure filter.for plating and corrosive chEmicals. 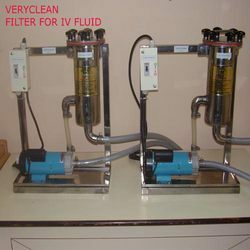 capacity= 50 to 200 lph plate filters. Specification and design are subject to change without prior notice due to continuous upgradation process. We offer a wide range of Metal Cleaning System. These are compact in size and available with us in various ranges and technical specifications. Our devices are very easy to use and acclaimed for their longer functional life, easy installation and longer functional life. 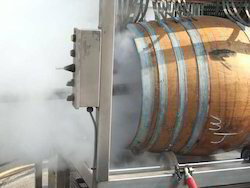 We offer these systems at market leading rates. The Process of cleaning becomes complete only when a good cleaning is coupled with correct equipment and process of method of application.We have associated with pioneers in cleaning equipments and tools to provide our clients with products that are second to none. We are a renowned Metal Chip Processing System Manufacturer and Supplier based in India. The Metal Chip Processing System we offer is widely used to produce small particles of Metal Chips. The Metal Chip Processing System is installed at large automotive plants. Additionally, clients can avail these Metal Chip Processing Systems at the industry leading prices from us.